You are coming to the end of a busy evening shift at the county jail and receive a telephone call from custody staff about an inmate who is “going nuts.” The officer wants a nurse to come to the unit and “do something” about the inmate. The officer says that the inmate is a 23 year old male brought in on a charge of reckless driving the day before yesterday. What are the next steps you will take as the nurse responding to this patient? Last week’s post made a couple suggestions. The first is to take a deep breath and think about what needs to be accomplished for the patient and the best way to get there. Second, of the types of encounters in last week’s post, this is likely a patient who is acutely ill. The nursing action and goal is to carefully assess and document the patient’s health and mental health status so that the most clinically appropriate and immediately responsive plan of care is put into place. Taking these steps increases the accuracy of the information obtained in the assessment which means more precise problem identification and more effective treatment. 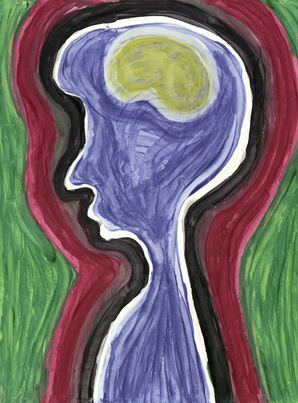 People are sometimes reluctant to describe symptoms they are experiencing while incarcerated because of concerns about being victimized as mentally ill. Review of the record will provide information to the nurse about the potential this patient has for substance withdrawal as well as any history of mental health treatment. It may be that the safest place to conduct the assessment is at the cell front; just be aware of factors in the setting that effect the patient’s responses by inhibiting disclosure or creating confusion. Setting aside the time, identifying yourself, and telling the patient why you are there, are all done to create a therapeutic relationship between the nurse and the patient. We all know what it feels like to interact with someone who conveys that they don’t have the time and don’t care about you or think you are lying. Taking the steps to establish a therapeutic relationship helps the nurse be mindful about the nature and purpose of the patient encounter in a very busy and sometimes stressful setting. By listening carefully, the nurse can pick up on information that the patient is reluctant to disclose. For example, the patient may deny mental health treatment but mentions the name of a counselor at the local community mental health clinic. This is probably an indicator that the patient has had some contact with the mental health system that could be followed up on. It helps to be familiar with the main contacts and places that provide mental health services in the community so that if the patient mentions something related to these you can pick up on it. The same is true of substance abuse services in the community. Some communities have begun to share access to patient registries especially to reduce or eliminate discontinuity of treatment. Do you have access to information from mental health agencies or substance abuse treatment programs that help identify patients who have been in treatment before admission to the correctional facility? If so, please let us know if you think it has improved care of the mentally ill and if so how? ← Yikes, I did not have to be a mental health nurse until I came to corrections!